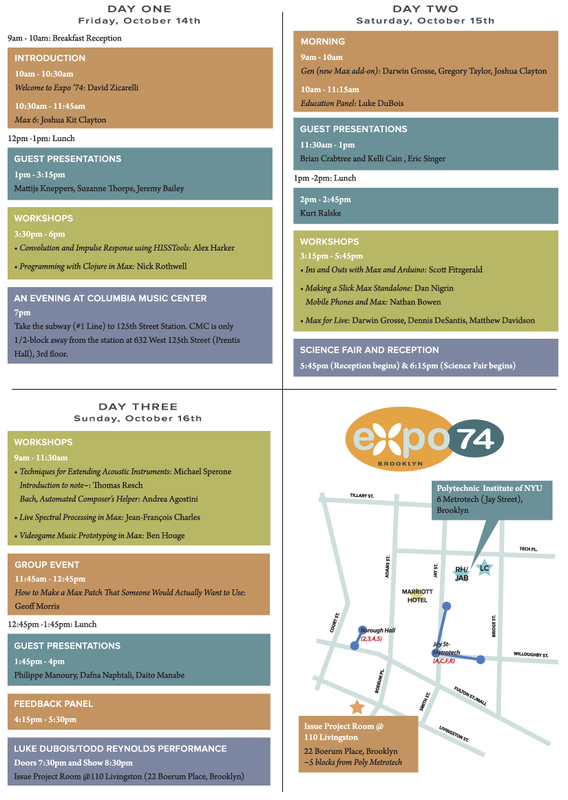 At Expo '74, you will have a variety of events -- presentations, workshops, panels, social -- available to you. We hope you can attend all to get the most out of our short time together. See the color program. You will receive a copy at check-in. 7pm A special evening at Columbia.